Enterprise Times spoke to Jussi Ylinen, managing Director at Anticimex, Finland. 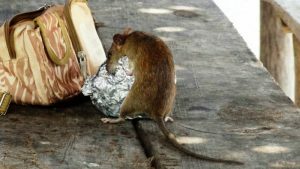 Anticimex has rolled out a major IoT project for controlling rats in Finland. We spoke about the challenges the project faced and the problem it solves. Before they implemented IFS, the rat traps communicated with a contact centre via email. Each trap sends an email for every alert. It was very quickly obvious that the process, although a vast improvement on what went on before, was not scaleable. They turned to IFS and the Microsoft Azure IoT platform to help them solve the problem. The project ran smoothly and Ylinen is hoping that Anticimex will expand to other countries and also other species of pest. Anticimex has integrated IoT into their field service operation in a way that is making them more efficient. It is also making the job of selling their services much easier. The biggest challenge they have? Batteries. Ylinen believes that the next generation that they are due to start rolling out will help. To hear what else Ylinen had to say, listen to the podcast.